This is the story of Julia Alekseyeva and her great-grandmother Lola, two extraordinary women swept up in the history of their tumultuous times. Born in 1910 to a poor, Jewish family outside of Kiev, Lola lived through the Bolshevik revolution, a horrifying civil war, Stalinist purges, and the Holocaust. She taught herself to read, and supported her extended family working as a secretary for the notorious NKVD (which became the KGB), a lieutenant for the Red Army, and later as a refugee in the United States. Interwoven with Lola's history we find Julia's own struggles of coming of age in an immigrant family in Chicago and her political awakening in the midst of the radical politics of the turn of the millenium. 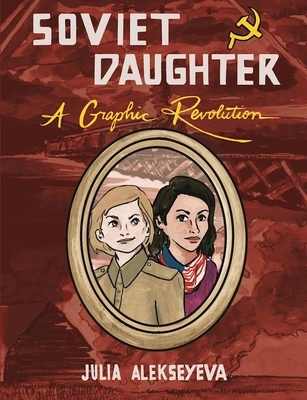 At times heartbreaking and at times funny, this graphic novel memoir unites two generations of strong, independent women against a sweeping backdrop of the history of the USSR. Born in the former USSR and raised a proud citizen of Chicago, Julia Alekseyeva is an author-illustrator as well as an academic. She is a Ph.D. candidate in Comparative Literature at Harvard, specializing in the avant-garde and film practices in France, Japan, and the former USSR. Julia has received press from publications such as Reuters, The New York Times, and Bloomberg Business for illustrating the first graphic novel legal brief, submitted as an amicus brief in U.S.A. vs. Apple. She has lived in Kiev, Chicago, New York City, Paris, Cambridge, Kanazawa, and Yokohama, and currently lives in Brooklyn with her partner.